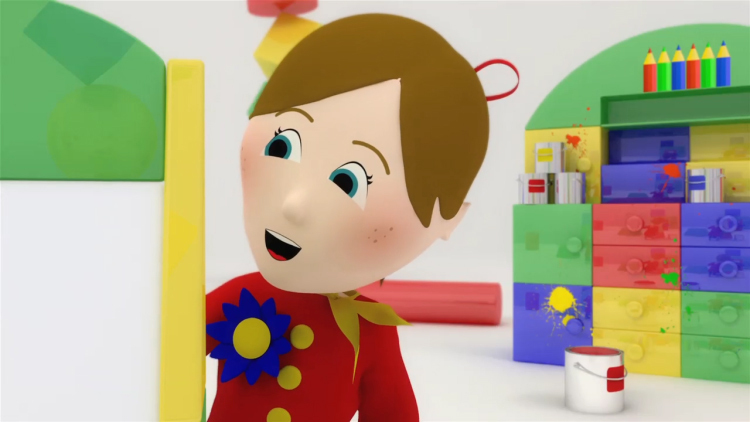 We were asked by Boomerang to develop a graphics package for S4/C’s pre-school series Sbri Diri. 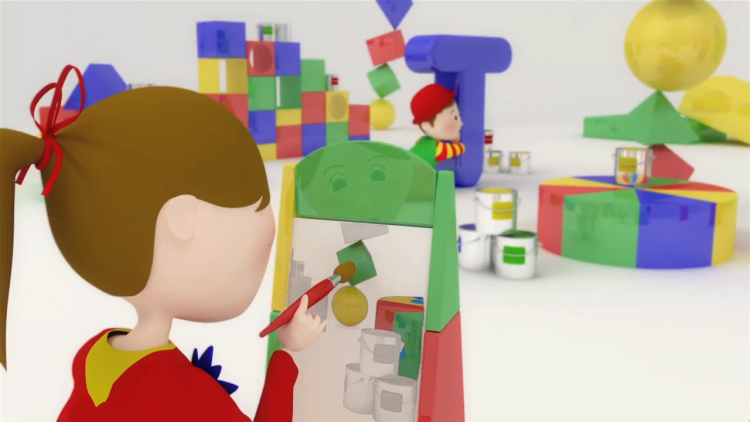 For the titles we created animated CGI charactertures of the real characters. 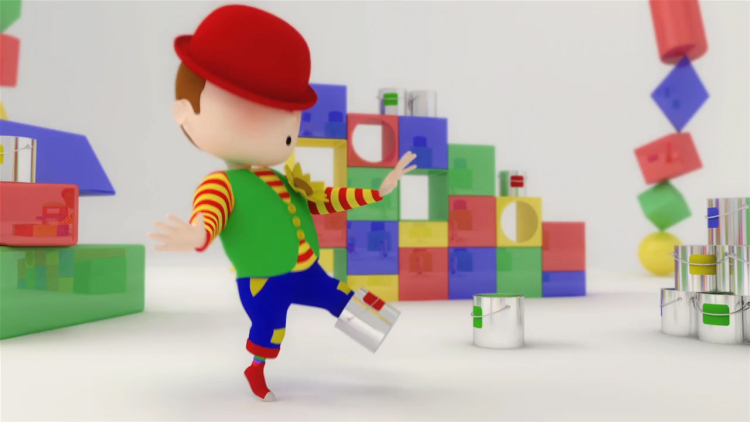 Reflecting the fun and creative nature of the programmes, Lisa’s painting is interrupted by the clumsy but well meaning Twm Tisian who brings chaos to their little world. 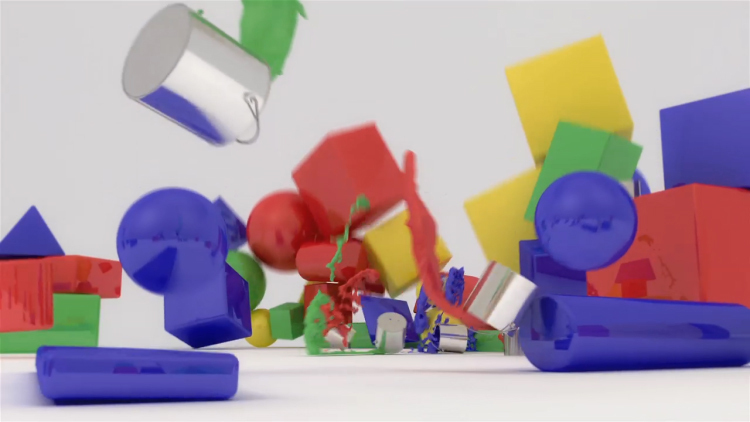 During the mayhem, numerous pots of paint are spilled which coincidentally forms the logo at the end.